When I quit a fairly lucrative – albeit stressful and time-consuming – consulting job in 2010 without any job prospects, I experienced a feeling I believe a lot of entrepreneurs have felt: a fire inside me to start something new. When I and my business partners, who are still with me today, began RateHub.ca that year, we had virtually no startup money. We bootstrapped the website launch and didn’t go after major venture capital investors. Since then, with a bit of savvy profit reinvestment, new business acquisitions and product expansion, we’ve been able to scale our growth and remain profitable and successful. A huge part of our growth has been funded through government grants. To date, grants have brought in more than $1-million – capital that hasn’t diluted us and doesn’t need to be paid back. Most recently, we secured a contribution of just under $500,000 in 2016 from the Industrial Research Assistance Program (IRAP), a federal program supporting technology innovation in Canada. If you hire individuals with a STEM (science, technology, engineering and mathematics) background or have a focus on youth hiring, there are federal and provincial funding programs. We’ve had great success with Youth Employment Grants that provide funding for bringing on resources under the age of 30 as well as the Canada-Ontario Job Grant (COJG), which is funding available to small, medium or large businesses to support short-term training for existing employees. 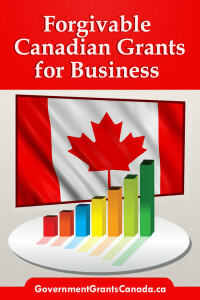 Funding in this area can also take the form of tax credits. The Ontario Interactive Digital Media Tax Credit (OIDMTC) offers a 40-per-cent tax credit for companies that develop and market their own digital media products, including gaming or in our case, informational products. Finally, if you’re hiring co-op students from accredited programs for internships, be sure to tap into the Co-operative Education Tax Credit, which varies by province. How do I find these grants? If there’s one thing entrepreneurs have in common, it’s that they love to talk. Funding inevitably comes up as a topic of conversation at events, so the best source for funding information is directly from the companies who have successfully applied in the past. And think regionally. Our development team works out of Kingston. Because we’re an employer there, we became eligible for funding through the Kingston Employment Youth Services (KEYS). How do I know a grant is right for me? 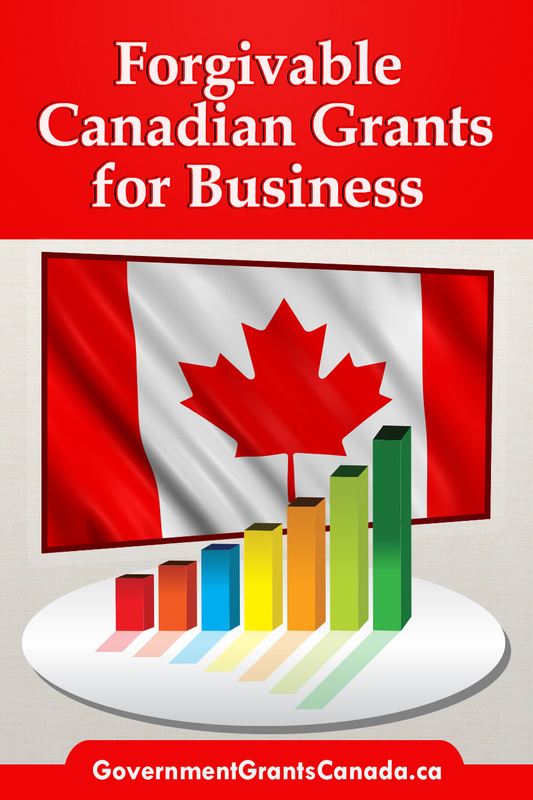 The first step in applying for any grant is to read the eligibility terms carefully. You’ll save yourself hours of work if you understand the funding requirements. Only apply for the ones that are a great fit. Don’t confuse eligibility with a challenging application process. Your organization may not be structured in a way that aligns exactly with the application, but don’t let that deter you. Consider the application process like an investment pitch, and look for programs that allow you to showcase the amazing work you’re doing as well as your future plans. Our latest IRAP project is a great example. IRAP provides funding based on your company’s opportunity for growth. The program’s mandate is structured around merit. If you can show that you have a technologically challenging project that will lead to job, revenue, and profit growth, it may be able to support you financially and/or with expertise and guidance. Searching for, applying for and waiting for grants can take time. While you’re waiting for a youth grant, you could lose a possible candidate because you can’t confirm the offer until the funding comes through. Throughout various applications, I’ve never been asked for information I didn’t already have on hand. Have your paperwork, financial and payroll information in order, your plans clearly laid out and be ready to provide supporting documentation for your application. Once you’ve been approved, the real work begins. You’ll usually need to file for claims, most often on a monthly basis. Also, claims become more complicated with larger projects. RateHub applies for four or five grants each year. It’s made a profound difference in our ability to support our company’s growth. Don’t be intimidated or overwhelmed. Approach it like you do the rest of your business: Do your research, showcase your success and winning strategy, talk to other entrepreneurs and take it one step at a time. Alyssa Furtado is the founder of RateHub.ca, Canada’s mortgage and credit card comparison site. That appears to have been the case with Metrolinx communications staffers who, in the weeks before the release of documents about a controversial grant-giving program, feared reporters would somehow link the agency’s spending spree to John Tory in the years before he ran for mayor. Documents obtained by the Toronto Sun through a freedom of information request show Metrolinx staff prepared a note for high-ranking government bureaucrats as they expected tough questions from reporters regarding a grant program which doled out $1.3 million over five years. TORONTO—Ontario’s opposition parties say the Liberal government hands out billions of dollars in grants to profitable corporations every year, often with virtually no oversight. The government shouldn’t be picking winners and losers, and should provide a level playing field for all companies in a sector instead of giving grants to ones the Liberals select, said Progressive Conservative economic development critic Monte McNaughton. Ontario is supporting a healthy, vibrant and competitive music industry by awarding 155 grants to 151 recipients totalling $14 million, through the Ontario Music Fund (OMF). Premier Kathleen Wynne announced the 2016 grant recipients today at the Rivoli, a concert venue in Toronto, alongside representatives from the Toronto Urban Roots Fest, one of the organizations the program is supporting this year. The OMF provides grants to music businesses that produce, distribute and promote Ontario-based music and artists. This support spans all segments of Ontario's music industry and helps the sector to innovate, create jobs and increase the production and performance of music across the province.